A day after the breakup of SEALDs, Japan’s iconic pro-democracy students’ group, members left the door open Tuesday for similar initiatives in the future. As Japan marked the 71st anniversary of its defeat in World War II on Monday, SEALDs, short for Students Emergency Action for Liberal Democracy, officially put an end to 15 months of strenuous campaigning against the unpopular security legislation bulldozed through the Diet by Prime Minister Shinzo Abe’s ruling coalition last year. Known for protests peppered with hip-hop-style music and catchy slogans, SEALDs was hailed as a symbol of Japan’s modern youth activism, the likes of which have rarely surfaced in a nation where voter turnout among the young remains doggedly low. “SEALDs will break up. Our activity may be over, but we could start it again. It’s us — or even you — that make a new start,” the group said in a statement. At a news conference Tuesday, Aki Okuda, one of the founding members, reflected on the challenges the group faced as it sought to energize young voters. 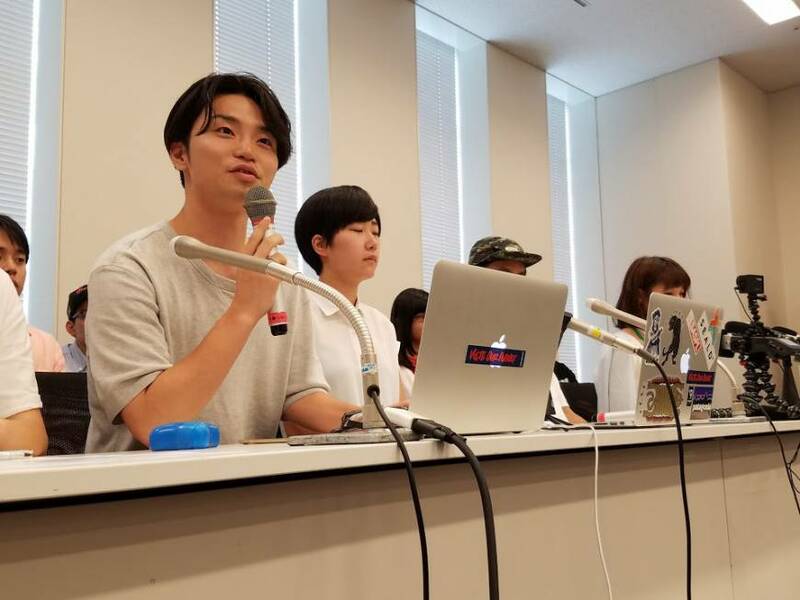 “It drove home to me what a daunting task it is for youths in this society to merely say ‘yes’ or ‘no’ to politics,” the 24-year-old Okuda said. 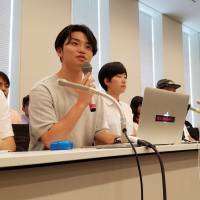 So few young people, he added, are politically active in Japan that even the simplest tasks required a herculean effort from SEALDs members and others. “This situation can’t go on and I’ll continue to make efforts to change it, even after our group’s end,” he said. Despite its best effort, SEALDs saw Abe’s ruling coalition and its allies win a landslide victory in July’s Upper House election, bringing the prime minister an important step closer to his longtime goal of revising the pacifist Constitution. Aside from this defeat, questions also remain over how successful the group was in convincing youths to back its causes. Polls have suggested that a majority of those in their 20s or younger voted for the ruling Liberal Democratic Party-Komeito bloc. Still, the group took pride in playing a vital role to bring together previously divided opposition forces, including the Democratic Party and the Japanese Communist Party, to help form an unprecedented electoral tie-up against the ruling coalition. “We definitely made some progress,” said Takeshi Suwahara, 23, adding that he remains far from discouraged by Abe’s victory. “There are challenges ahead, but I believe our society still has huge potential to change the way politics and campaign activities work,” he said. But being involved with a group so vociferously critical of the hawkish Abe antagonized some of the prime minister’s die-hard supporters, which took a visible toll on SEALDs members. Hanami Nagamune, 22, for one, said her name now blankets the internet, side by side with a plethora of slurs.